I picked this up yesterday and am quite fascinated by it. 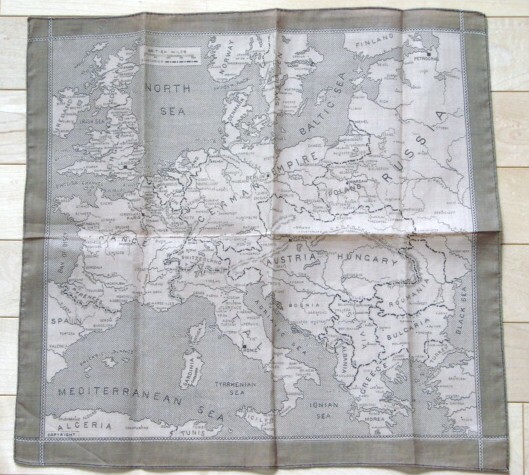 It is WW2 silk hankie with a map of Europe printed on it. 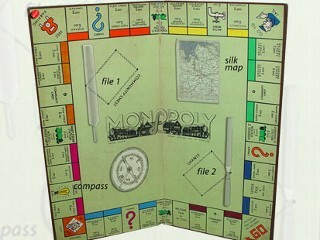 I am thinking this was a private purchase item but in line with the silk escape maps that were produced by MI9 and such. You may very well be right. 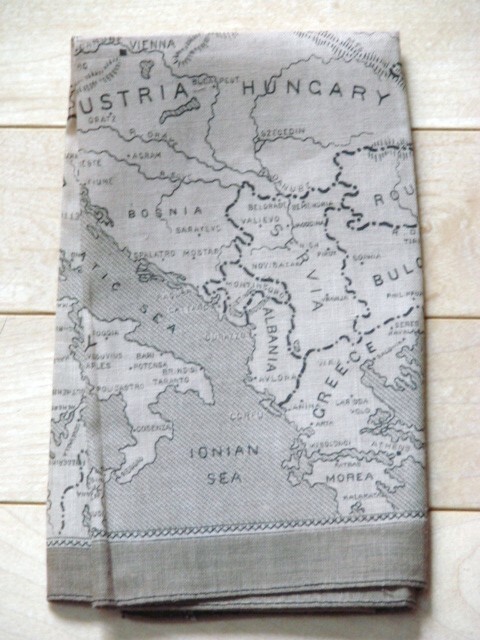 I never really thought of the tourist business, but did wonder about the Austria-Hungarian Empire on the map. I've got some silk RAF maps and they are very detailed (as you say). Anyhow, it was cheap and will look good in the personal kit display. This is not a WW II silk escape map. I have to agree with Mike that it's probably a 'tourist gift type item'. 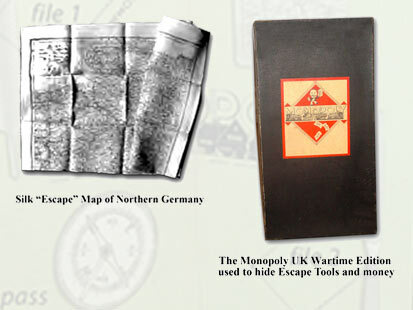 A red dot on the free parking space signified to captured soldiers that the Monopoly boards delivered by humanitarian groups contained escape kits including a compass, small metal tools and a map. I agree that it is not an MI-9 escape map, but rather a souvenir item from an earlier period, judging by the countries' names. In WWII MI-9 had a problem keeping the ink from running when it printed on the silk. The solution was pectin as used with fruit preserving. They were able to print very detailed maps, some black and white and some in colour. About 1987 I used one when travelling in West Germany. I lost it on a train. I chuckle when I think that an old cleaning lady might have found it and said to herself : "Ach du lieber, I must report zis to the Gestapo!" I have several original MI-9 silk escape maps in my colleciton and interestingly I have one of Italy that was issued to my step-Grandmother Major Nora Ely RCAMC in 1943.